Many Mercedes purists were somewhat a little peeved when the team decided to debut the 2019 Mercedes Benz CLA four-door coupé at the Consumer Electronics Show (CES) in January 2019, rather than, say, at a motor show. Of course, the German auto giants had good cause to, as this year’s CLA is all about the technology. Complete with a list of upgrades as long as your arm that you might recognise from the Mercedes A-Class, there’s a lot to look forward to with the new CLA. What does CLA stand for in Mercedes? To develop a true appreciation for the new CLA, firstly, we need to understand its history. CLA stands for “Coupé Light A-Class”, so if this were a case of the Mercedes CLA vs Mercedes CLS (Coupé Light Sport), it would be noted for its resemblance to it, but overall smaller appearance as a vehicle. Moving away from the taller A-Class, Mercedes found that customers still wanted a four-door, but not as large as the previous coupés. Step forward, the new four-door CLA coupé. On the trim side of things, we have the Mercedes CLA 180, 200, 220, 250, Mercedes CLA 45 AMG and, in time, the Mercedes CLA Shooting Brake. Don’t expect to see all of these at once – it starts with a 225BHP, 2-litre, four-cylinder petrol engine. How much horsepower does a CLA 250 have? Expect great things – up to 381BHP for the top line models. 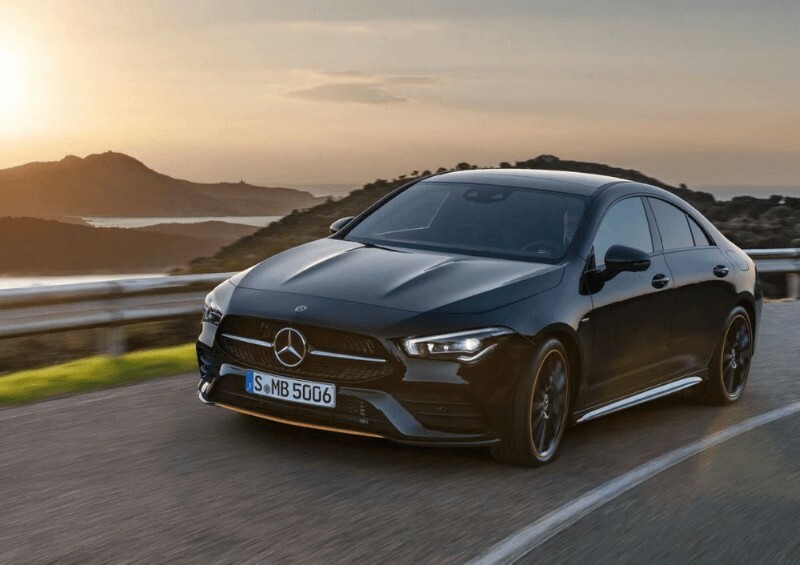 The 2019 Merc CLA coupé has an updated design that helps it achieve faster 0 to 60MPH speeds than its predecessor. For example, we’re looking forward to advancements in the Mercedes CLA aerodynamics department, which include an almost completely flat undertray and diffuser elements. In terms of dimensions, the new CLA is 1.9 inches longer than the former, and two inches wider too. It has an overall bulkier appearance, looking like a shorter CLS, but this does not affect the drive. Here is where the latest release from Mercedes really comes into its own. You might recognise the interior cabin from some features in large models. For example, the dashboard looks similar, while the centre stack features three air conditioning vents, and the infotainment display is similar to the E or even S Class models. In-car technology is some of the best in class. The newest release comes with a semi-autonomous system, monitoring traffic up to 0.3 miles ahead with a camera and radar system. There are also many assistive features which make use of navigation data, including the Active Distance Assist Distronic system. This even adjusts your speed for you as you approach roundabouts. Other safety-conscious features include the Active Emergency Stop Assist, Active Brake Assist and the Active Lane Change Assist. It’s not fully autonomous, but it comes close! The new infotainment system from Mercedes is named MBUX, which stands for Mercedes-Benz User Experience. This really is a step into the future, using artificial intelligence that can learn the driver’s preferences from heating to seat functions. Even augmented reality comes to the fore within the latest Mercedes CLA coupé – drivers can operate the media display and navigation system based on what they can see. It doesn’t stop there: you can also turn this on simply by saying out loud: “Hey Mercedes”. So, how much is the new Mercedes Benz CLA four-door coupé? It has a starting price of £28,000, but leasing may be a better option for you, depending on your needs and budget. To lease the current Mercedes CLA foor-door coupé (not the new 2019 one), it starts off at around £300 per month on a personal contract hire (PCH) agreement. To lease the car on business contract hire (BCH), lease deals start at a cheaper £250 per month (approximately). Leasing quotes on the new 2019 CLA will be available soon, so keep your eyes peeled for our deals! Or simply get in touch with us to find out the score. 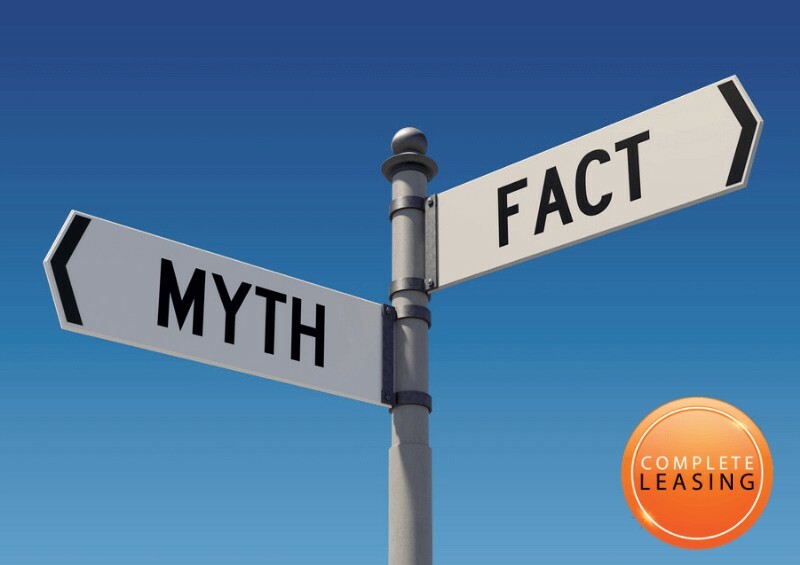 Of course, prices can change depending on your preference of specifications, so contact us at Complete Leasing today and we’ll find you the best and cheapest Mercedes-Benz leasing deal suited to your needs. Thankfully, we’ll see the new Mercedes CLA for sale in the UK from the end of February, so there’s not long to go before we can take this new technology to the streets, provide you with lease quotes and start placing orders! The new CLA coupé takes a refreshing blend of knowing what works for Mercedes (for example, the interior design that’s similar to the E Class and the S Class) and trying something new, to deliver the most innovative and exciting four-door CLA yet. Mercedes have listened to what customers want and upgraded it with some of the most forward-thinking safety features money can buy. Speaking of which, it’s very reasonably priced, making executive style driving, and even more importantly, safety, accessible to so many more people. We’re looking forward to seeing what’s coming next with the Shooting Brake, but for now, we’re happy to see how this upgraded, futuristic coupé feels on the road. It’s a huge well done from us! Get in touch with us now to find out about leasing a Mercedes CLA, to know more about our other leasing offers, or for us to answer any leasing-related questions you have.